…in one major study of 60,000 Iraq and Afghanistan veterans, 13.5% of deployed and non deployed veterans screened positive for PTSD, while other studies show the rate to be as high as 20% to 30%. 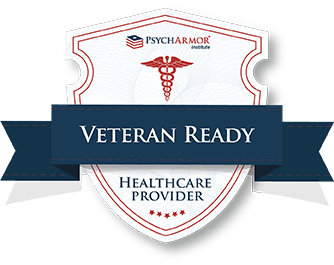 As many as 500,000 U.S. troops who served in these wars over the past 13 years have been diagnosed with PTSD. The aftermath of combat or trauma can be unpredictable. Post traumatic stress may hit you right a way or catch up with you weeks or months later, challenging your transition to civilian life. PTS can be felt as a range of symptoms – chronic pain, headaches, agitation, mood changes, anxiety with insomnia, rage, disordered eating, depression, alcohol or drug abuse, intrusive memories, traumatic nightmares, emotional numbness, feeling of despair and sometimes struggles with thoughts of suicide. Stress often leads to changes in neurotransmitter/neurohormonal response that can create or exacerbate PTSD symptoms. It activates sympathetic nervous system (“fight or flight” response) by increasing the production of certain neurotransmitters by the hypothalamus, causing heart palpitations, insomnia, hyperventilation, restlessness and so on. Acupuncture treats PTSD by activating the parasympathetic nervous system, the “rest and digest” response, to achieve biochemical and emotional balance. Stimulation of acupuncture points encourages the production of neuropeptides such as dopamine, serotonin, oxytocin, noradrenaline, NOS, ACTH and melatonin. 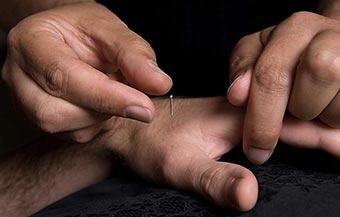 Acupuncture for PTSD is so effective that military bases and VA hospitals utilize it. Research into the efficacy of acupuncture for trauma and combat related pain is currently being supported by VA Administration, National Institute of Health and the Department of Defense. At 406 Acupuncture clinic we provide trauma informed acupuncture treatments for veterans, active military personnel and their families. Having had successful results in treating PTSD, depression, anxiety and other imbalances with acupuncture, we encourage all veterans to use acupuncture as part of the multidisciplinary approach to treating their symptoms, especially now, when US Veterans qualify for 100% covered acupuncture treatments through the Veterans Choice Program. 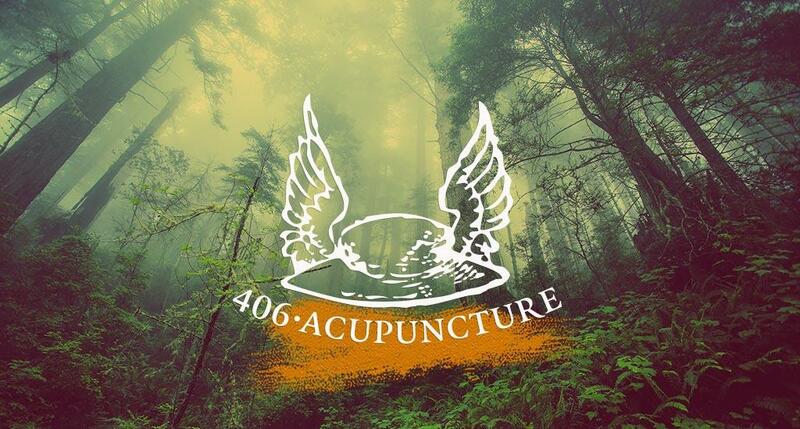 406 Acupuncture is a certified Veteran Ready Healthcare Provider in Kalispell, MT and we are ready to serve you. Please call your VA Primary Care Provider (your VA doctor) and ask to be referred to Irena Ginsburg L.Ac. at 406 Acupuncture. The referral/authorization should be faxed to us at (406) 247 – 0067. We will contact you to schedule an appointment as soon as we receive the referral.